Do Ho Suh's new installation at Wormwood Street, EC2, commissioned by Art Night and Sculpture in the City, is on view until 2020. 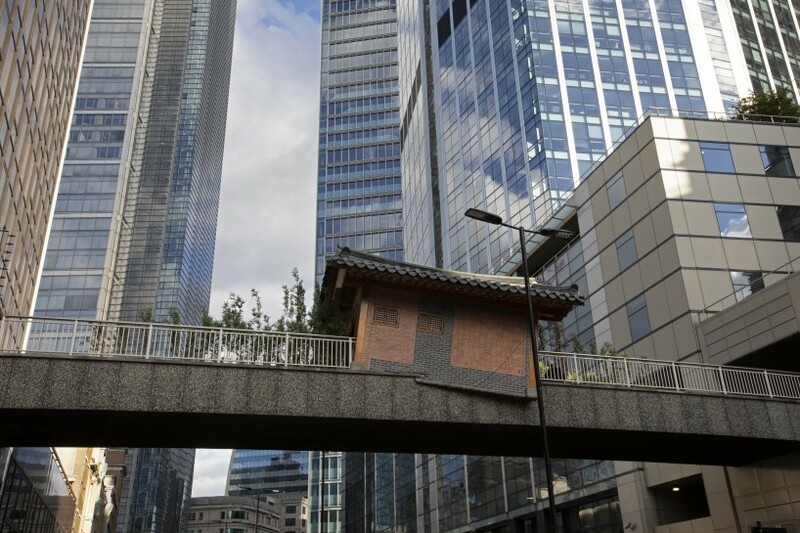 Bridging Home, London is a replica of a traditional Korean house and surrounding bamboo garden, which will appear to have 'fallen' onto the Wormwood Street footbridge. artist's own experience of moving across continents and between cultures, and continues his career-long investigation of memory, migration, the multiplicity of the immigrant experience, and home as both a physical structure and a lived experience.